Now you have the Qt libraries and the Qt Creator IDE installed. On Windows you can choose between MinGW and MSVC compiler packages. If you're planning to edit the source code and you want to use Visual Studio, you can select the matching MSVC component instead of MinGW. These instructions are for desktop platforms. 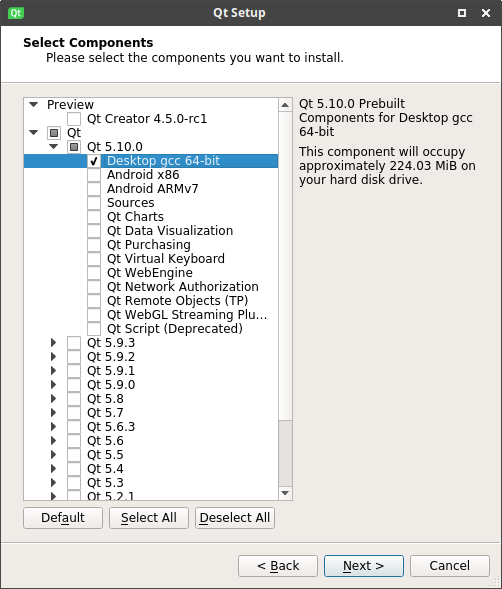 For embedded devices, you have to compile Qt manually, or use the prebuilt libraries available on Pegasus' GitHub page. See Cross compile Qt. On many Linux distros, the Qt libraries in the official repositories are often several years old (as a trade-off between stability and access to the latest software), or miss some components. Debian 10 (buster/testing) contains an up-to-date Qt release and building Pegasus should be possible. To use this installation, you will need to call /opt/qt511/bin/qt511-env.sh (or /opt/qt59/bin/qt59-env.sh on 14.x/16.x) every time you open a new terminal. You can do this by adding the source ... line above to your ~/.bashrc file (or whatever shell you use). On older Ubuntu releases, you can use ppa:beineri/opt-qt596-xenial and ppa:beineri/opt-qt596-trusty. If you're using Arch, you can get Qt from AUR; here's the relevant wiki page. Qt is available in the MSYS2 repos. See https://wiki.qt.io/MSYS2. At the time of writing, Qt 5.9 is available in vcpkg as a port. 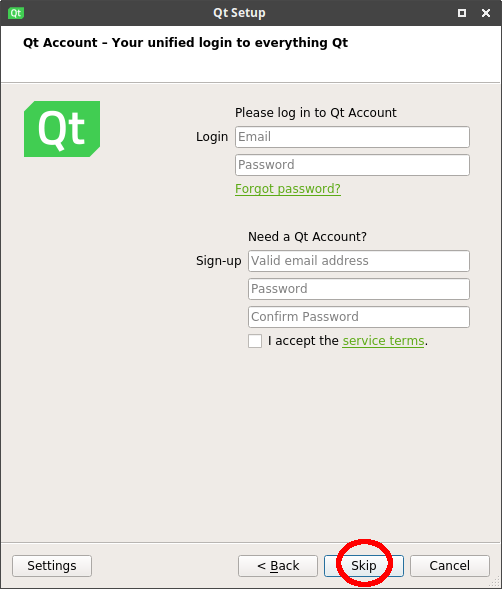 Qt is available in the Homebrew repos, but may not be up to date. See http://brewformulas.org/qt5.